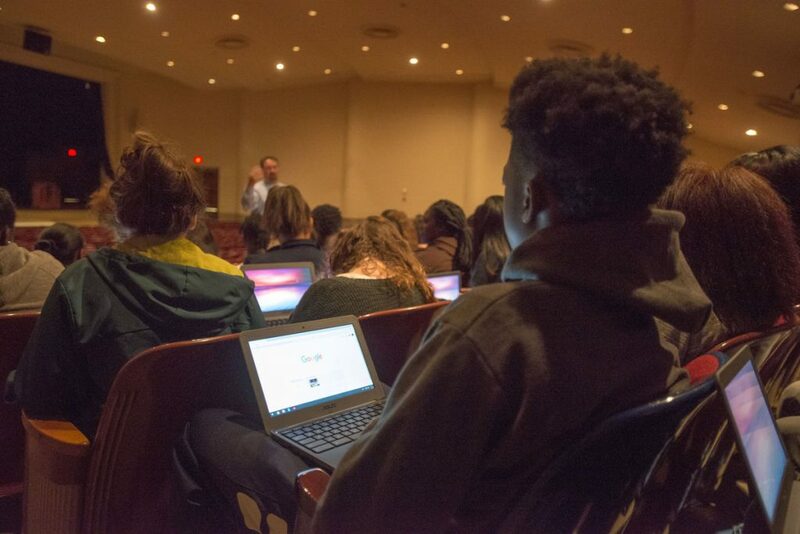 A new initiative at Danville Public Schools issued Chromebooks to all students at the high-school. The first 60 students were issued their laptops, Monday, September 11, after Principal Jay Lancaster reviewed the rules with the students. Both caregivers and students needed to sign off on rules for use of the computers before deployment of the laptops. The deployment to all high school students that signed the agreement form was completed September 21, 2017. Teachers and students at George Washington High School look forward to having access to Google Suite tools, such as Google Classroom.